Genres: Сriminal drama, detective, adventure. Synopsis: The murder of the President USA puts agent Claire in an awkward situation. She is accused of murder who she did not commit. But who is the real murderer? Why all this threat, and you can't trust anyone? To cope with all these strange events, Claire will have to bring many victims. Someone helps Claire to escape, and now it means a lot. But to pass this, you need to know the truth. And as we know, secrets are killing us. For Save her. Save the sister. Save the family. 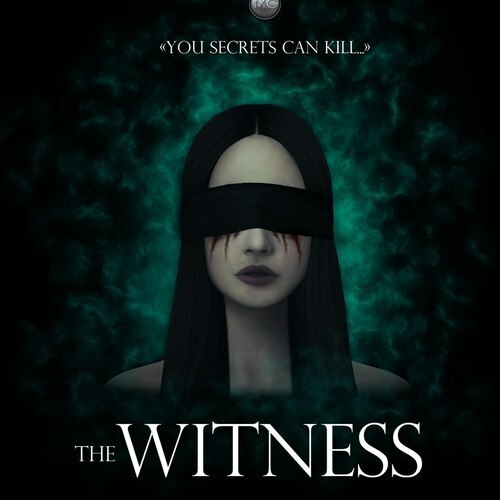 THE WITNESS - SEASON ONE. Each episode takes 20-25 minutes. - Speak 3-4 times so that I can catch the tone that I need. - Will be scenes where you will cry,scream. I hope you will treat this with understanding. Here are all the roles that will be in 1 season. The second episode will be released in July / August. I work with licensed programs. All your nicknames will be published in the credits. Please, check on all the roles, maybe you come to another! This project is an original show of the channel ART&DESIGN SIMS (ADS). All rights belong to channel. CONTACT: If you need to contact me, send me a message and I will answer you! A woman, about 20-30 years old. and I need to know who it is. You did what I asked? I had to. If I hadn't done that, I would be killed. When she learns the truth, she destroy you. Yes, I did what you told me to. Sometimes people don't want to look for something that is long lost. What? What's happening? Where I am? So you found me. Can we go inside? here is cold. I'm sorry... that hit you. I think you are cop. You knew we were coming? Sorry you couldn't join us, but it was in your interest. We don't have to trust her. She can frame us. FBI. Please step away from the car. I don't care. I already tired of this madness. Your father was a great agent. He helped me a lot. Two girls disappeared, apparently kidnapped. We know all about you Claire. You were there before the murder. This was confirmed by the camera in the white house.